Alethea Kontis takes us to Haven, Kansas. 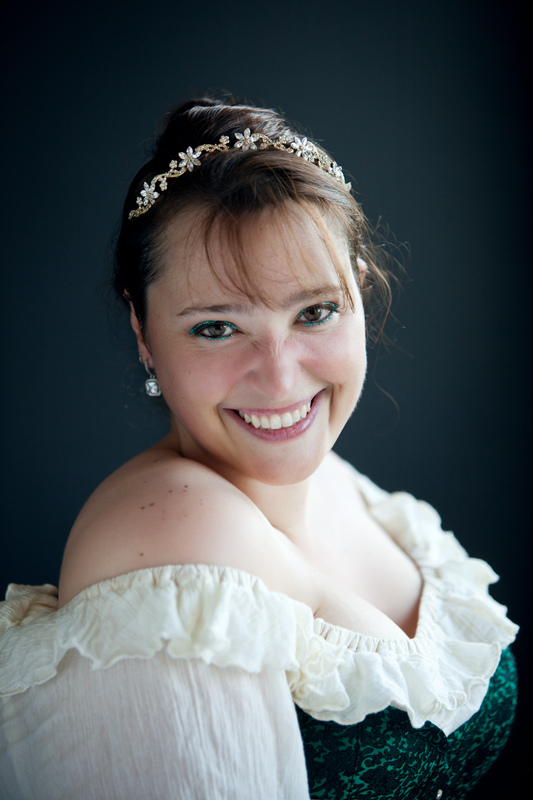 New York Times and USA Today bestselling author Alethea Kontis is a princess, a fairy godmother, and a geek. She’s known for screwing up the alphabet, scolding vampire hunters, and ranting about fairy tales on YouTube. Her YA novels have won two Gelett Burgess Awards, and she’s twice been nominated for the Andre Norton award. She’s the author of Wild and Wishful, Dark and Dreaming, the AlphaOops series, the ongoing Arilland Fairy Tale series, and her short fiction has appeared in Apex Magazine, Orson Scott Card’s Intergalactic Medicine Show, Shimmer Magazine, Shroud Magazine, and various anthologies. 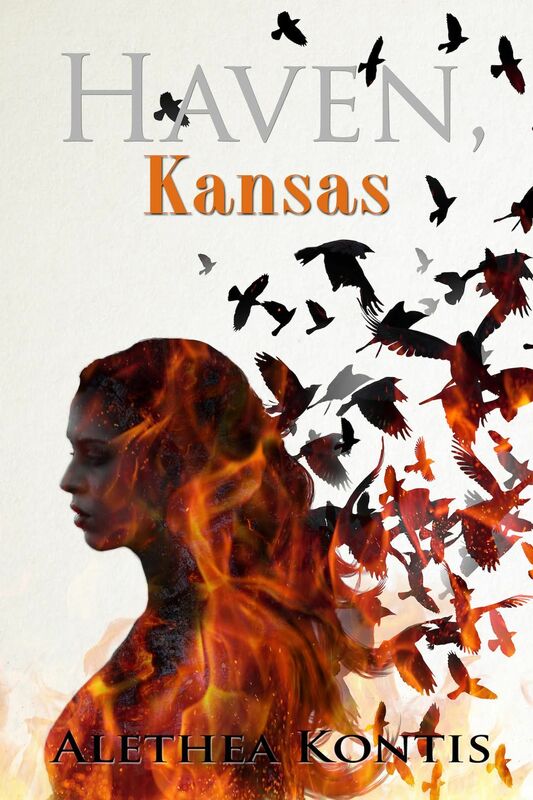 Alethea’s newest novel is Haven, Kansas. She was kind enough to let me in on all the behind the scenes secrets of how this accidentally humorous and on-purpose scary horror novel came about, her Traveling Sideshow, how she scored such beautiful cover art for this newest novel, and more. 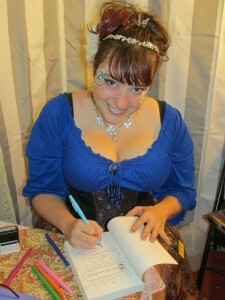 Learn more about Alethea at her website AletheaKontis.com, her Patreon site, or follow her on twitter @AletheaKontis. And Alethea? If you’d like to place your next novel in Hell, here you go. While she’s brainstorming on that plot, let’s the rest of us enjoy this fantastic interview! Little Red Reviewer: Haven, Kansas is first and foremost a horror story, but it’s also very humorous! Did you set out from the start to include funny lines, or did they just grow with the story as you were writing? What’s the trick to successfully mixing humor and horror? Alethea Kontis: I’ve been writing regularly—and submitting for publication—since I was eight years old. Due to a genius-level aptitude for math and science (because: irony), I did not take a formal class on fiction writing until I was 27 (Orson Scott Card’s Literary Boot Camp). One of the things I learned in that class was, “Humor sells. But it is almost impossible to write, and write well, so just don’t do it.” So I didn’t do it. I didn’t even try. I wrote dialogue I felt was real, and true to my characters, and I moved on. And then I started hearing back from readers. I mean, beyond the AlphaOops books, because they were supposed to be funny….but like, I remember one of the first reviewers for Dearest said how it was the most romantic and funniest novel I had ever written, and I was shocked. Really? Romantic, yes, but I didn’t write it to be funny! I just created a world that included seven brothers who talked smack to each other, like every bunch of guys I’ve ever hung out with. I felt much the same way when I started getting feedback about the humor in Haven, Kansas. Humor and horror? Who does that? But I’m one of those crazy people who will cry all the way up to a funeral and then almost burst out laughing in the middle of the ceremony. Humor and hurt and fear and love…they’re all feelings—true feelings—that we all feel, whether we have control over them or not. Before last week, I’d only read a few Alethea Kontis stories, mostly what had been published in Apex Magazine. But I’d like what I’d read, and was interested in reading more. Kontis is a writer known for everything from fairy tale retellings, to secret history, to horror stories. She doesn’t let genre boundaries limit what she writes, and many of these stories were inspired by events from her life or her friend’s lives. She lives with one foot in a magical world, where anything is possible. Her collection, Wild and Wishful, Dark and Dreaming, contains everything mentioned in the title and more. These eighteen short stories and two poems range from dark horror to science fiction, to coming of age, to revenge, often returning to themes of facing our fears, traps and escape, and that we ultimately don’t have to go it alone. Many of these pieces are perfect for reading out loud, and some of them were even designed that way. What’s nice about single author collections is that the author’s voice can be heard as a constant note through the entire book. And Kontis’s voice is here, loud and strong. this is a woman who wants to take you new place and show you paths you didn’t see before. Ultimately, Kontis is a woman who knows she’s got a story you want to hear. As part of the Book of Apex Vol 4 blog tour, I feel very lucky to be able to interview Alethea Kontis. An award winning author, she describes herself as among other things, a princess and a force of nature. Alethea was kind enough to answer a few of my questions, and give me more information on her short story “Blood From Stone”, her current projects, adventures on YouTube, and how she stays sane. LRR: Your story, “Blood from Stone,” is a dark fantasy about a woman who seduces the man she loves and they succeed with their alchemical magic. What inspired this story? A.K: “Blood from Stone” is based on the Grimm Brothers’ “Fitcher’s Bird” (some are more familiar with Perrault’s “Bluebeard”). “Fitcher’s Bird” is the tale of Fitcher’s last three wives, all sisters, the last of whom ultimately reveals his true nature (because she heeds the warning of a noisy bird) and leads the townspeople to murder him at his wedding. But what about Fitcher’s first wife? What kind of woman twisted this man into such a serial killer? Had he always been a sociopath? And if so, what sort of woman would have fallen in love with him in the first place? Few have tried their hand at telling this part of Fitcher’s tale, and I am honored to be one of them. To prepare for this story, I researched the real-life historical figure that Perrault’s Bluebeard was based on: Gilles de Rais. Gilles de Rais was a baron who fought beside Joan of Arc, but he went on to squander his fortune until his family was forced to place him under something similar to house arrest. His get-rich-quick schemes then turned to summoning demons, with the help of an Italian magician called Prelati, dark magicks that involved the sacrifice of countless children, whose bodies they subsequently burned in the fireplace (which is why no exact number is known). Once an author hears a history like that, how does she not write it? I encourage readers who enjoyed “Blood from Stone” to explore further into the real life of Gilles de Rais. LRR: I found “Blood from Stone” to be dark and very adult. But you also write a lot of children’s and YA fiction. Is writing for different ages a different mindset? What’s the trick to being able to write kid’s stuff one day, and very adult fiction the next day?